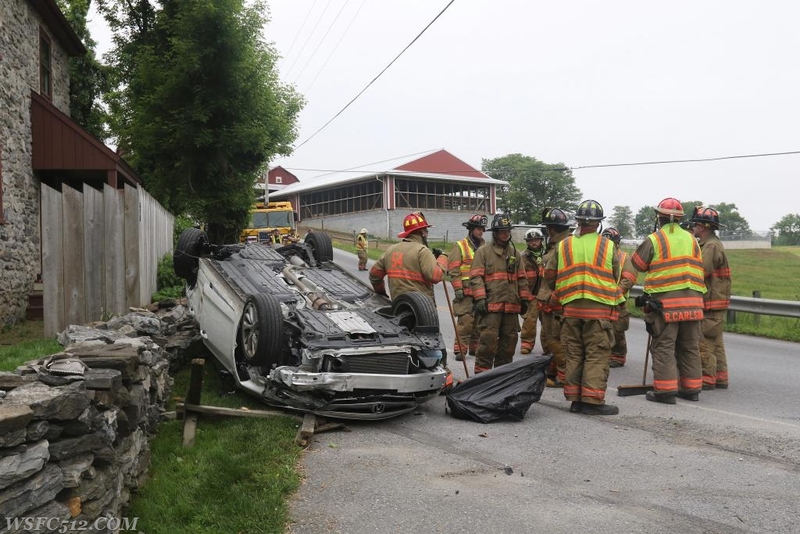 Lancaster County-Wide Communications dispatched Lampeter and Willow Street fire companies for a vehicle accident with entrapment at 838 Strasburg Pike in West Lampeter Township between Spring Hollow Road and the Pequea Creek on May 28, 2018 at 09:42 hours. 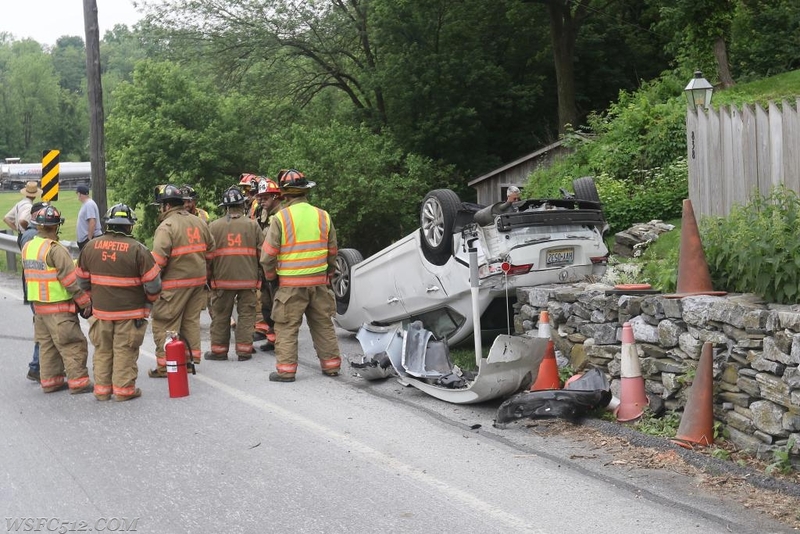 Communications reported at least two vehicles with people trapped and vehicle is flipped and on its roof. At 09:44 a firefighter from Strasburg arrived and reported that no one was trapped and possible minor injuries. 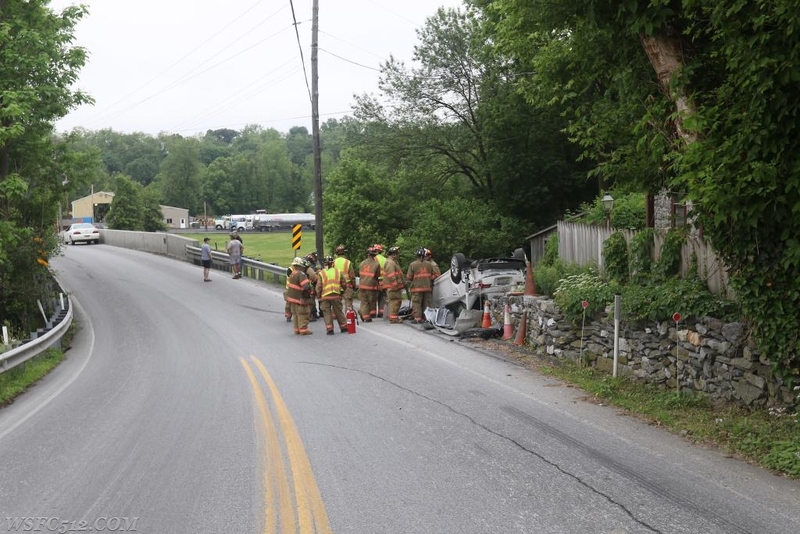 Lampeter Deputy 54 requested Strasburg Pike to be closed down at 09:46 and arrived two minutes later. Two people to be checked out by EMS. Engine 54-3 arrived 09:52 followed by Engine 54-1 at 09:55. Rescue 50 arrived 09:56 and Engine 501at 09:59 and both released by Chief 54 at 10:00. Lampeter units remained until being cleared at 10:57 hours.